In 2018, we (Chilton REIT Team) performed another deep-dive into healthcare real estate, meeting with 20 REITs and key tenants, touring multiple properties, and looking for opportunities in the beleaguered space. What we found was not inspiring. 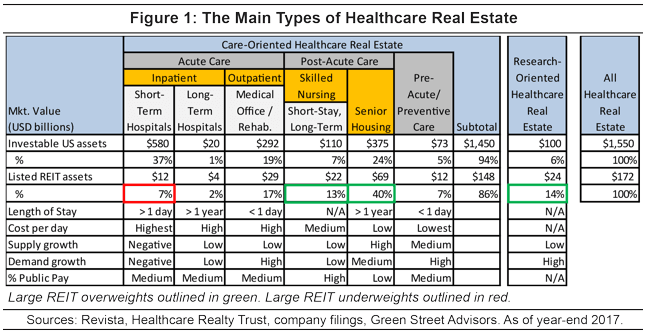 REITs that focus on higher-risk properties, such as senior housing, skilled nursing facilities (SNFs), and hospitals are trading at some of the lowest multiples in the REIT universe. However, fundamentals for these REITs continue to deteriorate, significantly reducing the predictability of future dividend growth... Read the full article here.